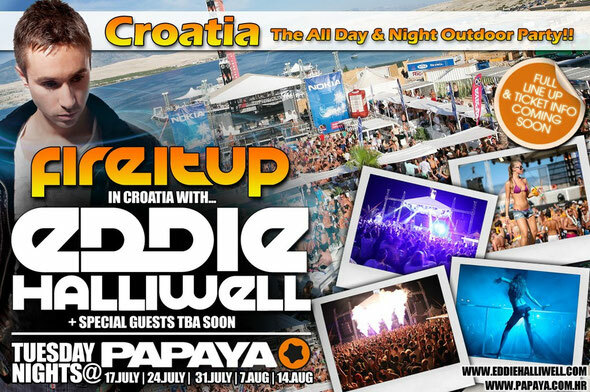 International superstar DJ Eddie Halliwell has just announced a first… a summer residency at Club Papaya, on the party island of Pag, in Croatia! Under his infamous ‘Fire It Up’ brand, Eddie will play five nights supported by Fired Up friends, which will be announced soon! Club Papaya, Croatia’s leading club, has seen a meteoric rise over the last few years, not only serving as a spectacular beach club but also as a festival venue, resulting in Papaya being ranked in the top three Mediterranean summer destinations. 2011 saw over 300,000 visitors attending the nine festival parties to hear the likes of Swedish House Mafia, Tiesto, Armin van Buuren, Paul van Dyk and Fatboy Slim amongst many others. Papaya plans ‘a dream come true summer’ in 2012! When asked about this new venture, Eddie said: “I’m buzzing about this new opportunity. The chance to play weekly in an outdoor arena as the sun comes up, was too good to miss! Having explored the party scene in Papaya, Croatia, I saw this as an ideal place to grow the Fire It Up brand, whilst at the same time playing to a brand new crowd of clubbers.” Eddie’s Tuesday night residency will begin in early July and run through to mid August. If you like big summer parties, hosted by the top DJs on the planet, this is the Croatian place to be! The resort has all day and all night parties with open air events, the best special effects, lighting shows and entertainers, daily pool parties and cheap club entrances and drink prices... To celebrate this new venture, the venue is offering a week-long festival pass for only £50! This will include entrance to three weekly nighttime events and the infamous Papaya weekend Festival! 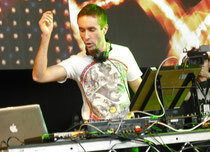 For more details check out: www.papaya.com.hr and www.eddiehalliwell.com.